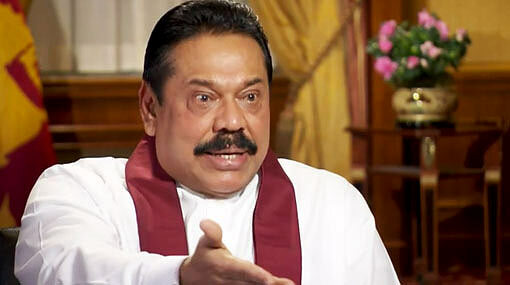 Sri Lanka’s former president Mahinda Rajapaksa has said that even though the United Nations resolution against Sri Lanka on war crimes sponsored by the US without a vote is being hailed as a diplomatic victory, he is unable to share the same view. According to Lankaweb.com, Rajapaksa said in a statement that the operative paragraph 6 of the resolution says that foreign judges, prosecutors, lawyers and investigators in the Sri Lankan judicial mechanism would be set up to investigate alleged human rights abuses during the war. Sri Lankan Prime Minister Ranil Wickremesinghe said that Sri Lanka has now been ‘taken off the agenda in the UNHRC’. Meanwhile, Sri Lankan activists have welcomed the government’s commitment to ensuring those responsible are held to account and have encouraged them to continue to work with the UN. The 47-member United Nations Human Rights Council (UNHRC) at its ongoing 30th session here approved by consensus a crucial resolution led by the USA and the UK, and backed by Sri Lanka itself, in a move hailed by worldwide advocacy groups. Of course it is not a victory, add to it, it was Sri Lanka who co-sponsored the resolution. That means SL wanted a international investigation. Sri lanka was betrayed, it is not a victory. You can call this Hybrid or any other name you want, end of the day it is the US who gives the verdict. Yes Jayraj, you are spot on. This is not a victory. Hybrid courts are a bitter pill to swallow. There are international judges and they give the verdict.